Everybody loves a bit of customisation, and marketing folk in particular love a chance to stamp their branding on anything and everything. The Office 365 login page is quite literally begging for a bit of customisation, as by default it displays a none too inspiring picture of a highway somewhere in what looks like California. Don’t get me wrong, I love a good highway, but there is a lot of space there which could be used to give users the hint that they are logging into the right system! 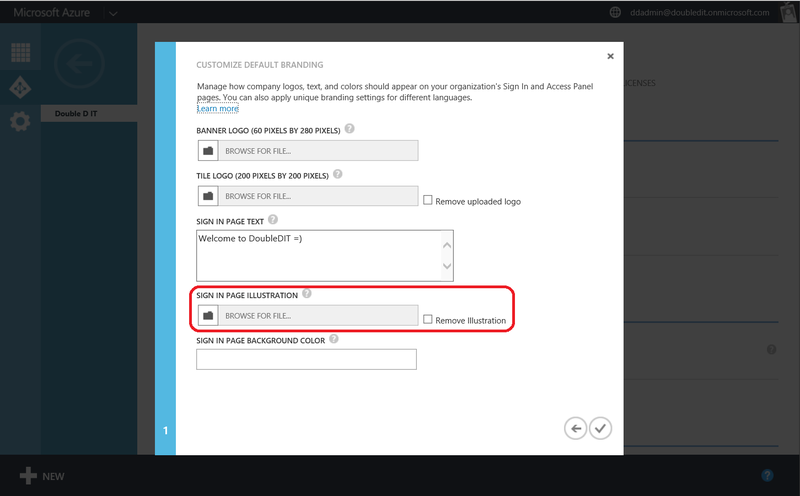 In order to customise the branding in Office 365, and the logon page in particular, we need to go into the Office 365 Admin Center, and, in the left hand pane, select Azure AD. If you’ve never been to this part of the Admin Center before, you will need to enter a few details to create your Azure subscription. One thing worth mentioning here is that you are not signing up to anything you are not already using. As soon as you start using Office 365, you are using Azure AD. This is because your users and groups actually reside in Azure AD, not Office 365. Once this has completed, click on your tenant/directory name on the below screen (in my case, Double D IT). 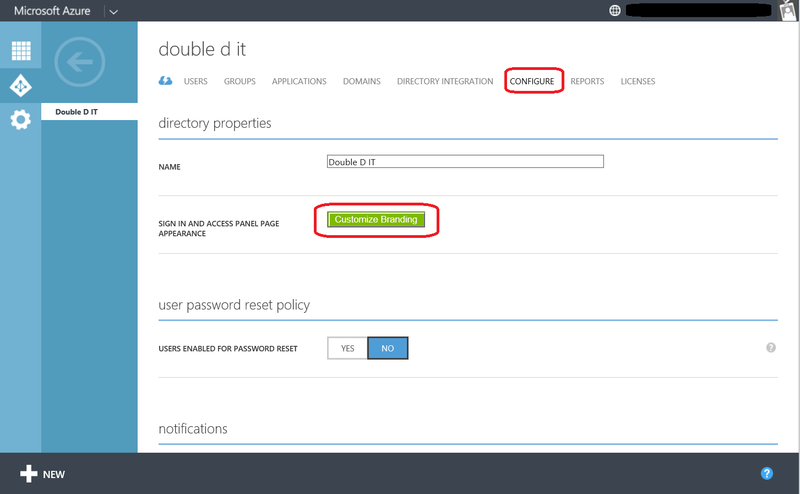 This will take you into your Azure Active Directory instance. 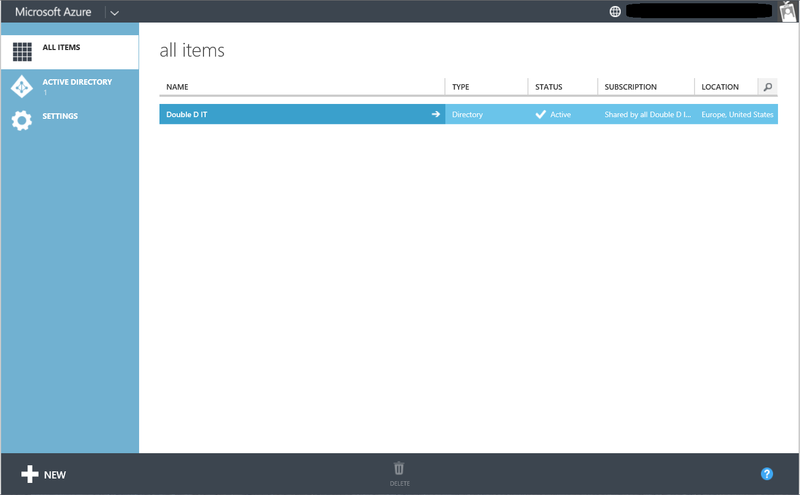 Go to the Configure tab in the top navigation pane and you will see the Customise Branding option. Inside the Customise Branding option, you will see that you have a few options. To change the big picture on the login screen, the option to change is the ‘Sign in Page Illustration’. 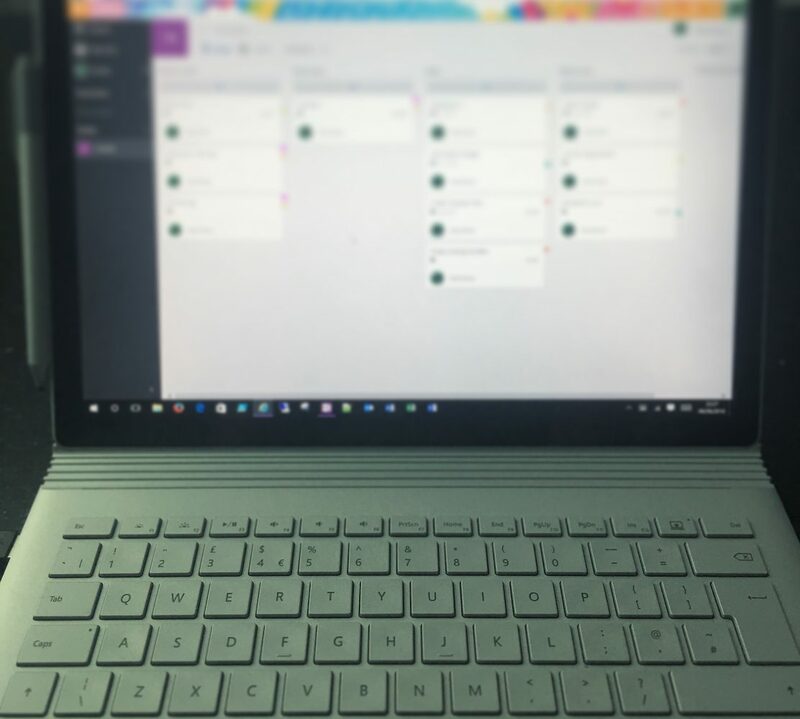 You can also add a bit of text to the Sign In page, and add a Title Logo (which is a logo used for the login screen on rich client and mobile applications) or a Banner Logo (which appears at the top of the Office 365 portal once your users are logged in). For my purposes, I just want to change the Sign in Page Illustration and add some friendly text. Once I’ve added my file, I save the changes and go to the Office 365 login page. Once I put my username in, Office 365 will look up the domain name and apply my custom branding. As you can see, I’m quite fond of the colour yellow and wear it on my sleeve quite literally!